Happy New Year to all Naturewatch supporters, and I hope you all got some lovely cruelty free presents at Christmas! Now its that cold, damp, possibly snowy and windy, generally a bit grim bit before Spring sprungs, I thought it would be a good time to discuss what we put on our skin to protect it from the elements. 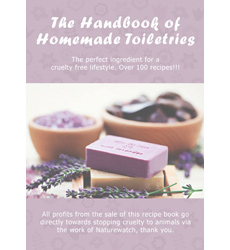 I am not a beauty therapist or in any way a skin expert, but I know what works for me, and everyones skin is different so I am opening this post up for discussion so readers can share their own cruelty-free favourite skin products and remedies.They don’t have to be shop-bought - the ultimate in cruelty-free is home-made, so I’ll share a couple of the recipes from Naturewatch’s own home made toiletries guide here too. Obviously before anything topical will work, you have to take care from within, so healthy eating, not smoking and daily exercise will help to prime your canvas! Now I’ll tell you what I have been using this winter and the combo has been amazing. I am prone to patches of dry skin on my face, and so every night and every morning I have been applying Neals Yard Wild Rose Beauty Balm to the areas around my eyes, mouth, forehead and cheekbones. Also to my hands if they need it. After this I have been using Dr. Organics BioActive Moroccan Argan Oil moisturiser ( I just use the day cream as it is nice and rich anyway - I would use a lighter one in summer probably ) The combination of these two products has been amazing .I have had no dry skin all winter and it creates a great base for make up. I t has protected my skin to such an extent that I have even noticed less redness, without using any other expensive anti-redness products other than my normal light covering of foundation to even out complexion. So those are my two products and I would give them both 5 stars for effectiveness. They both also smell divine. 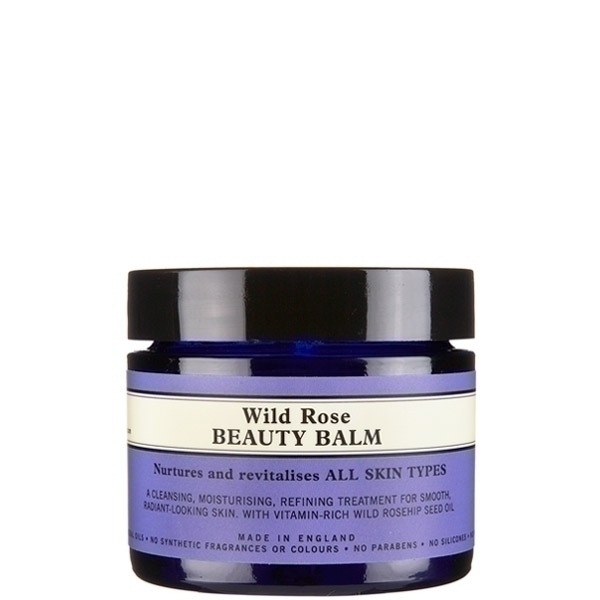 Neals Yard Wild Rose Beauty Balm has umpteen uses for skin saving, and you can read all about it on their website. Its price tag of £37 reflects the quality but don’t be put off by the cost , because this 50g pot lasts ages! You need only a tiny bit. 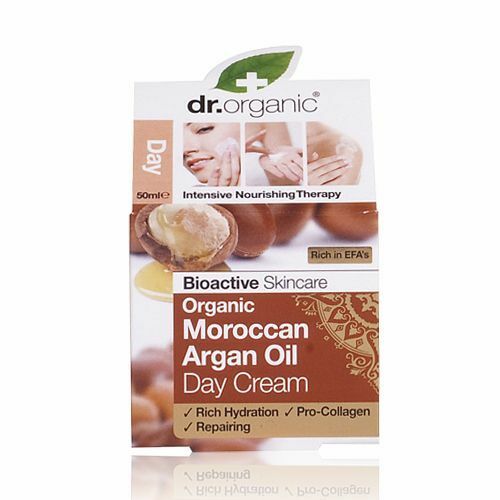 The Dr.Organic Argan Oil cream is available at Holland and Barrett stores nationwide, and comes in at around £9. They have a whole range of other ‘flavours’ and types for different skin types and needs. 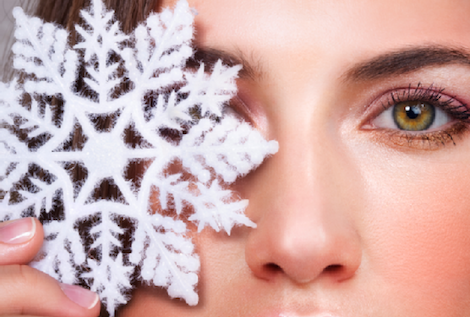 So what skin products are your favourite Winter staples? email us and let us know. And do you have any magical skin remedies handed down through the generations from your grandma's, or that you have invented yourselves from kitchen and garden ingredients? mash all the ingredients together until smooth,massage into hands and leave on for 1 - 2 hours ( you can get some soft cotton gloves to wear over it while it soaks in ) then rinse it off. mash all the ingredients and stir until it is a smooth consistency. Apply to face and leave for 10 minutes.. have a lie down! Rinse with warm water and admire your baby soft skin. We'd love to hear your recipes so get in touch.